“Protecting your tablet in style” Universal fitting case to compliment your 7”-8” tablet Dual colour case that protects most tablets from everything life throws at it. Sit back and relax, with the multi-viewing angles of this case. When you are done, simply close the case back up and the tablets protected again. 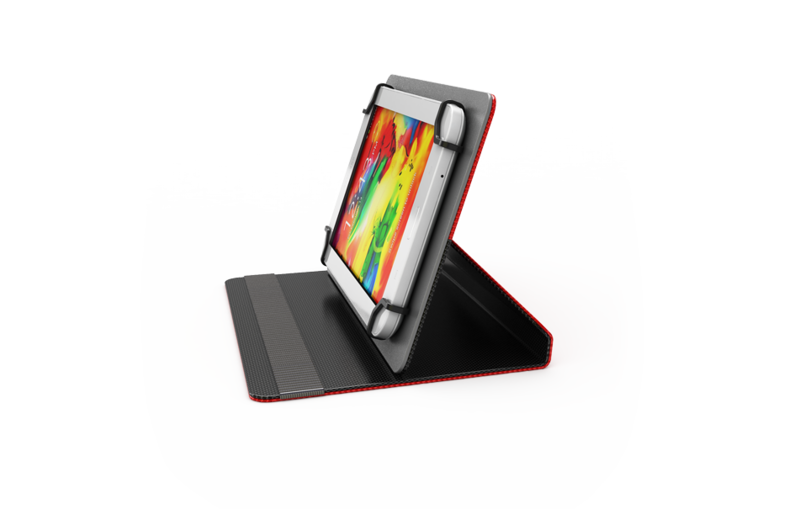 The flexible design of this case prevents your tablet from being damaged while maintaining the ability to be converted into a perfectly oriented angled stand for your optimum viewing pleasure. 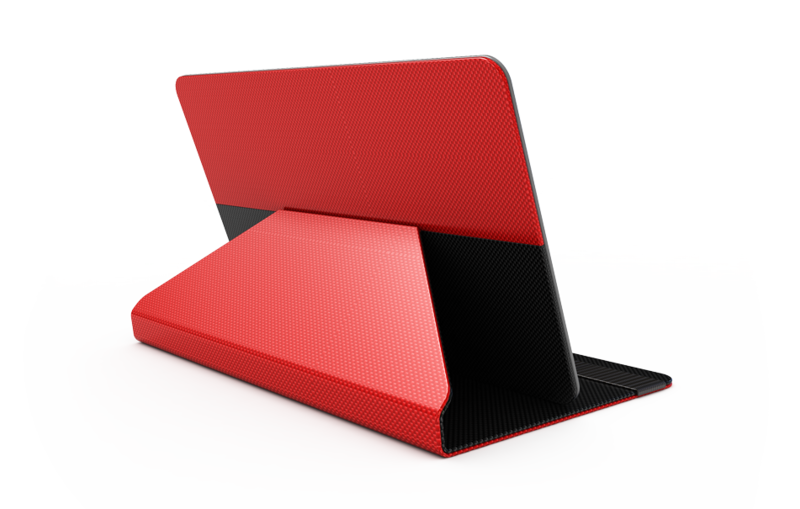 This tablet case is dual coloured, reversible black/red. 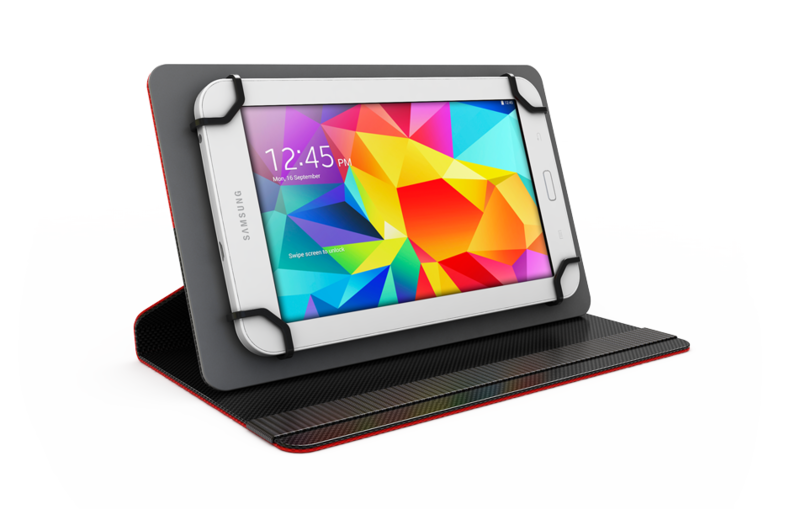 You can change the case colour on the fly without removing the tablet! 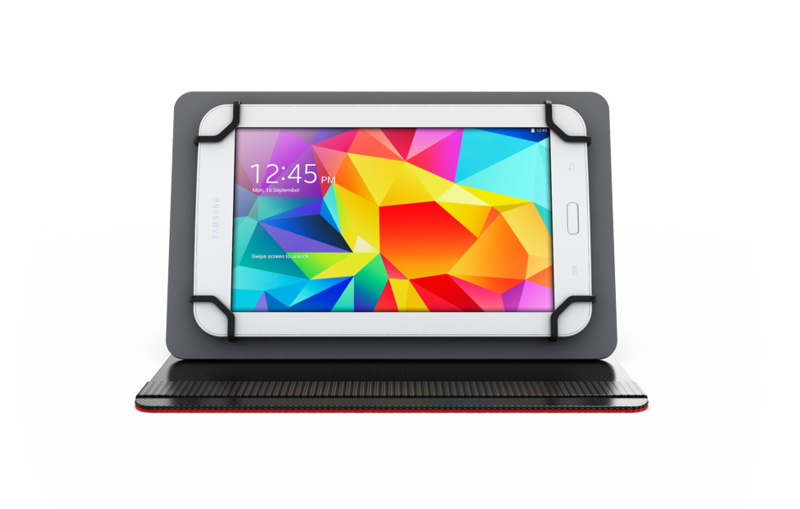 Universal fit, supports most 7"-8" tablets. Change the cover on the fly without removing tablet.